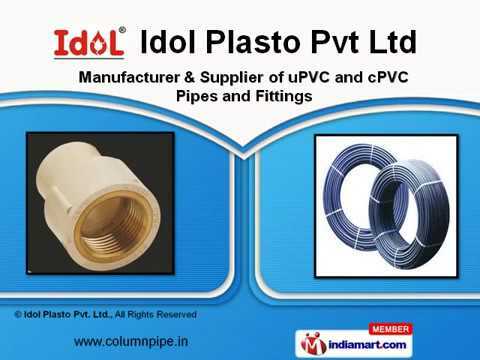 Established in the year 2011, we, 'Idol Plasto Private Limited', We are an ISO 9001: 2008 certified manufacturer and supplier of a range of Pipes and Fittings. These are developed by our experts using superior quality raw material. We offer all our products in different sizes, dimensions and as per the specifications of the clients. Owing to the features like durability, dimensional accuracy and sturdiness, our products are used in various industries including chemical, power plant and petrochemical industry.